Take it from the best instructors in the Vail Valley. All of our instructors are certified and we continue to increase our education and knowledge within the following specialties: prenatal Pilates, barre, and massage; pre and post surgery rehabilitation such as hip replacement rehabilitation and spinal fusions; weight loss; dance, and more. We are athletes and Pilates practitioners ourselves, focused on movement and health, and always work with our clients specific needs front and center. JENNIFER LUCAS, OWNER – Jennifer is comprehensively certified through Body Arts and Sciences International (BASI) Pilates and is a certified Bootybarre Instructor. Originally from the east coast, she first experienced the power of Pilates and discovered that the mindful movement and core strengthening of Pilates had the power to change her body and the way she carried herself in every-day life. 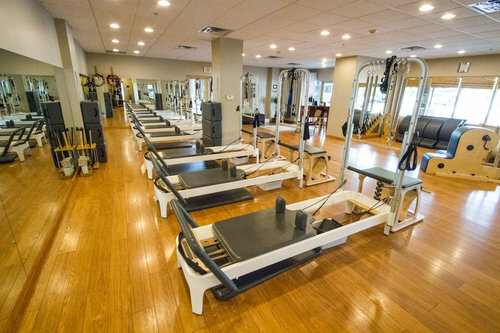 Her clients are women and men of all ages, athletes, tri-athletes, post-rehab, and Pilates apprentices and teachers. Jennifer loves helping clients achieve their personal goals whether it involves aches and pain management, strength, improved ski season readiness, flexibility, weight goals or overall better health. Jennifer’s ability to see misalignments in the body (and continuing education specializing in anatomy & pathology) and address them through precise verbal and tactile cues is vital in helping clients understand the work in their body. Meticulous on form, Jennifer keeps her sessions fun and energetic. You can expect her to push and inspire you to make real changes in your own body and mind. DEB PLATH – With a self-professed passion for people and exercise, Deb Plath fell in love with being a personal trainer 25 years ago, which is just about the same amount of time she has been living in the Vail Valley. A southern California girl who describes herself as a ‘city girl’, Deb moved here to start a new relationship – who knew it would lead to being a successful, multi-talented fitness teacher? From aerobics to spin to becoming a Certified Personal Trainer, Deb teaches because she calls it a “gift you can give someone else”. She admits that it takes motivation, but that is one thing she does not lack. After years of teaching a variety of fitness disciplines, Deb gravitated towards Pilates because she recognized the importance of ‘core strength’ in any fitness regimen. She also likes the need for mental strength, precision and focus that Pilates demands. Deb’s Pilates certification was earned in 2003 from Barbara Huttner, who is not only well-known in the Vail Valley Pilates and GYROTONIC® circles, but also a driving force in the establishment of Synergy. In fact, Deb credits Barbara for being the reason that she came to Synergy as a teacher. She adds that she continues to teach at Synergy because of the “energy in the studio” saying, “I feel motivated when I’m there!” Her favorite class to teach? Group Pilates Equipment! Best said in her own words: “It’s invigorating for me to see my clients get it.” She loves seeing her clients transform their bodies and attitudes about being fit. She calls it a “motivating story” to guide students who “think they are in shape” to really being in shape. JOLENE DART – Jolene came to Colorado in 2005 for the abundant days of sunshine and mountain views, leaving Milwaukee, Wisconsin, where she spent her adult years after graduating with her BS in Biological Sciences and her MS in Human Kinetics. In 2002, prior to coming to Colorado, she graduated from an accredited massage school. Jolene discovered Pilates at Synergy and was instantly hooked, finally finding relief from chronic knee pain and providing an exercise regime that brought needed variety and challenge. After years practicing Pilates for her own benefit, in 2008 she received her Pilates mat and equipment certification from BASI. Since then she has continued her Pilates education with courses in prenatal Pilates, upper extremity pathokinesiology, lower extremity pathokinesiology, lumbar spine pathokinesiology, posterior hip, and rotational sports. Her massage practice has been complimented with courses in neuromuscular therapy (addressing knots and pain), muscle release technique (stretching) and advanced myofascial release techniques (for pain relief, diminished function and joint restrictions). Her passions in life are Pilates and massage, depending on what area her latest course was in. Colorado has brought many joys to Jolene’s life including meeting and marrying her husband Jon. In her free time, she enjoys fostering rescued dogs, hiking with her pack, snowshoeing, and the occasional bike ride. JAYME SARE – Jayme was born in Breckenridge and as a Colorado native, skiing is in her blood. She was introduced to Pilates while living in Vail, CO as a suggestion for “toning up” prior to a tropical vacation. From that day forward she continues to include Pilates in her workout practice, gaining strength and balance. Being an athlete her entire life Jayme realized how beneficial Pilates can be, effective in the world of athletes and in everyday quality of life. She was inspired and received her Comprehensive Teacher Training Certificate from Body Arts and Sciences International (BASI Pilates) in 2009. She holds a BA in Health and Exercise Sciences from Colorado State University and is certified in TRX Training. As a practitioner and trainer, Jayme is continuously inspired by how Pilates re-educates and heals the body. She has experience working with clients of all levels, including adolescents, pre and postnatal or athletes looking to improve in their particular sport. Jayme can also use Pilates as rehabilitation. She has helped several clients not only recover from a variety of injuries and surgeries, but improve their overall physical condition. Jayme is passionate about creating a challenging workout, but encourages her clients to have fun and enjoy the benefits of Pilates. ELIZABETH SULLIVAN – A Certified Polestar Pilates Instructor, Certified Yoga Instructor/RYI 200 and Certified Barre Instructor and has been in the fitness industry for over 30 years. Her background stems from an extensive dance career of performing internationally, commercially and in theatres. She has been teaching Pilates and yoga since 2001 and has a deep love of helping people feel better within their own bodies and teaching clients the correct alignment and fundamentals. Elizabeth has always been an avid athlete growing up with all brothers and still skis, cycles, plays golf, water skis, surfs and now is addicted to SUP and SUPilates & SUPyoga! She has two hip replacements and is enjoying the life of pain-free activity and specializes in training joint replacement clients both prehab and rehab. Visit Elizabeth at www.elizabethsullivanwellness.com. MICHELE LaVIRE – Michele arrived in the Vail Valley the summer of 2018. 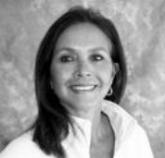 Michele is a fully certified STOTT Pilates Instructor and an NCCAOM board certified Acupuncturist. Growing up in Michigan, Michele was very athletic and while taking Pilates Privates one summer in college she became fascinated with the functional movement of the human body. In 2007, she co-founded a Pilates Studio in Florida and has also taught in many different cities and places ranging from Pilates studios to High-End Resorts to Physical Rehabilitation Centers throughout her career. Michele decided she wanted to be able to help her clients heal and feel their best full circle and went to Graduate School in 2012 to become an Acupuncturist. Music, movement, and healing are passions of Michele’s and she incorporates all three along with stretch therapy and positive energy into her classes and with her private clients! Michele likes to have fun with her clients as they get to know and become more aware of their greatest tool in life, their body! Kim Strauch – Kim has been an avid practitioner of Pilates for over fifteen years and holds a Comprehensive Certification in Pilates from BASI (Body Arts and Sciences International), encompassing repertoire for students of all levels on the reformer, cadillac, chair, barrels, and mat. Kim brings an enthusiastic, supportive, and connected approach to each of her classes. She enjoys working with clients of all ages seeking general conditioning, athletic training, injury prevention, and rehabilitation. Outside the pilates studio, Kim enjoys spending time with her husband, Eric, and their three teenage boys. Together they take full advantage of Vail Valley’s offerings; from biking and SUP-ing in the summer, to skiing in the winter, and hiking with their Bernese Mountain dog, Mazie, year-round. She is a graduate of Cornell University in Ithaca, NY. Kira Sadler – Kira holds a Mat Certification in Pilates from BASI (Body Arts and Sciences International) and has been practicing Pilates and a part of our Synergy family for years. She will be teaching group mat classes on Saturday’s at 9 a.m.